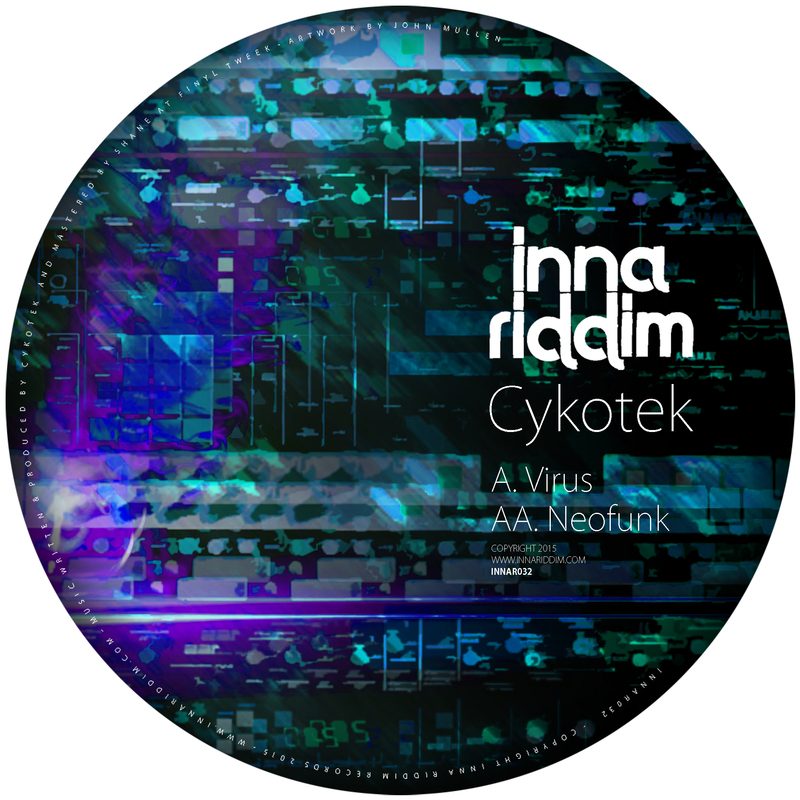 ‘Virus’, the A-side of Cyoktek‘s debut release on Inna Riddim, packs a proper wallop: a snarly, rugged bassline thrashes about like an angry python pinned down by intricate, brutally precise drums. It’s a stormer of a tune, real 2am business to dark up the dance, but there’s an attention to detail that rewards repeat listening and subverts rhythmic expectations in subtle ways to give the undefinable, yet indispensible, resistance that turns a beat into a real groove. Taut with crackling energy, this one tears it up. Cyoktek‘s meticulous engineering and futuristic soundscapes are equally in evidence on ‘Neofunk’, but he’s switched up his approach, with menacing drone pads, complex layered filters, and a much looser vibe. Percussion augments the stark, stepping snare as the bass rolls out, sprawling like a river overflowing its banks. Low-key but deadly: a depth charge of a tune.